heart of the Hampshire village of Sherfield on Loddon. 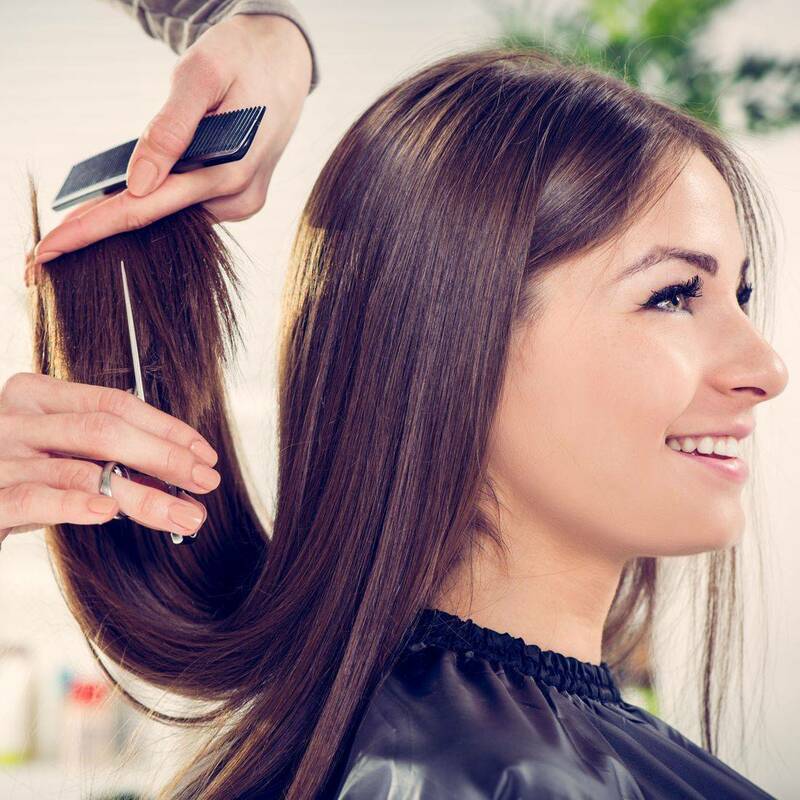 Our mission is to bring you top class hairdressing and 'beautiful' beauty in fabulous, relaxed surroundings without the stresses and strains of traveling into town. With plenty of free parking and a super warm welcome we look forward to seeing you soon! you back out into the world smiling"
We have a fantastic team who are trained to a very high standard in all aspects of hair cutting, styling and colouring. We pride ourselves on our ability to listen to your needs and transform your ideas into reality. Please take a look at our price lists to see what we have to offer. We are proud to have launched our own product and styling range which is now available exclusively in store. This can also be boxed and wrapped so make a perfect gift any time of year. We also retail seasonal products, beauty gift packs and of course, our wonderful range of beautifully packaged gift vouchers!